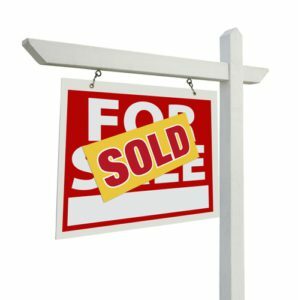 If you’ve just sold your home – congratulations! Selling a home can be stressful, and making it to the finish line deserves a celebration. But just because you’ve made it to the closing table doesn’t mean it’s time to wash your hands of the whole affair. There are smart moves you can make to get the most out of your recent home sale. Here’s what you need to know. After you close on your home sale, review all the paperwork you receive to check for errors. Even if everyone involved in the sale is a trusted professional, mistakes can happen. Be sure the mortgage payoff amounts are correct. Check all the fees to make sure there are no surprises. If so, follow-up with your agent to have them explained to you, and talk to an attorney if needed. Yes, selling your home generates a mountain of paperwork. Though it may be tempting to shred it all, you should hold onto it. You’ll need these documents to prepare your taxes for the year. You will be required to show proof of your expenses and of the proceeds from the sale, so keep those papers in a safe place. You’ll need to have them on hand for several years just in case the IRS audits you. You’ll also want to hang on to any paperwork that has to do with improvements you made to the home. This is also important come tax time. You may or may not be eligible for tax breaks because of them, but you’ll lose out no matter what if you don’t keep receipts. It is not unusual for tax laws to change, so pay attention to those that have to do with the sale of your home. The recent Tax Cuts and Jobs Act made several changes to tax laws that affect homeowners. If you’re unsure of how they affect you, talk to a professional tax accountant. If you aren’t ready to buy a new home immediately, then invest your money wisely. A money market account is a great choice. These types of savings accounts allow you relatively easy access to your money and provide a decent return. It’s a safe place to keep your money while you’re deciding on your next steps. Now that your home sale is complete, you may feel some pressure to buy a new home quickly. It’s perfectly acceptable to take your time with your new home purchase. Don’t be afraid to rent for a period of time, especially if you’re moving to a new neighborhood. This gives you time to decide what you need in your new situation. If you have significant proceeds from the sale of you home, it may be tempting to make a bigger down payment on your next home. Look over your finances carefully and decide if this is truly the best decision for you at this time. It might make more sense to pay the standard 20 percent down and use the remainder of the money in a different investment with a potentially bigger payoff.